With the Treaty of Greenville in 1795, Franklin County in the Indiana Territory was officially opened for settlement to white settlers. By 1812, the number of settlers and the increasing size of the church congregation created the need for a church. In response, Little Cedar Grove Baptist Church was built in 1812 by Thomas Carter and Thomas Winscott. 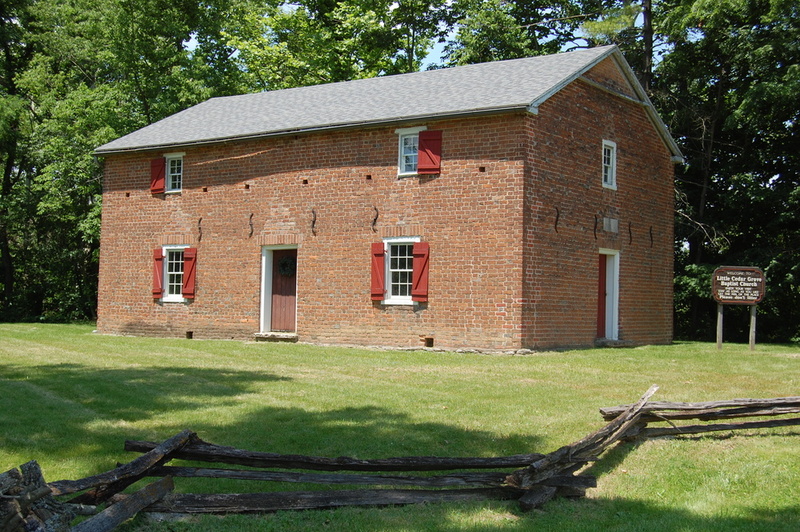 For the church’s construction, bricks were made on site, and the logs incorporated into the building were handhewn by members of the congregation. During the 1830s, the church reached its peak size with 160 members and was the mother church for other Baptist churches in the area. In the 1840s and 1850s, membership dwindled, and, after the Civil War, the church was only used for occasional services. In 1905, the Brookville Historical Society bought the church and began a restoration which lasted until 1912. Many of the church’s original features remain intact, including the handhewn beams, pillars, and flooring. It was listed on the National Register of Historic Places in 1990. 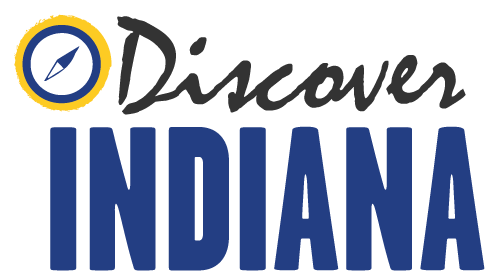 Indiana Division of Historic Preservation and Archaeology, “Little Cedar Grove Baptist Church,” Discover Indiana, accessed April 25, 2019, https://publichistory.iupui.edu/items/show/333.